For a grieving person, grief is the 24/7 awareness of the tragedy that’s befallen him or her. It’s the thought that keeps running through that person’s mind, saying, “My wife died, my husband died, my daughter died.” The person can still function but carries the grief wherever he or she goes. It still lingers without much movement or progress two or three years later. In healthy grief, a person can get through grief. This takes time and grief work, but grieving people can reach the point where grief has been integrated into who they have now become, and they no longer feel that intense pain. Once in a while a sense of sadness may envelop them briefly on a monumental family milestone or event, but it then dissipates rather quickly. In the first way, people don’t seem to move through grief at all because they want to maintain their relationship with the person who died. Two, three, or four years down the road, one could easily think by their behavior that the person they are grieving died last week. In the second way, people do everything they can to deny, avoid, or distract themselves from dealing with grief. They do not face it. They may not be able to go through their loved one’s clothing or go into his or her room. They work around it, but it doesn’t go away. What things contribute to complicated grief? Our society’s attitude toward funerals has changed so that even people in the church are avoiding having them, preferring a celebration of life or memorial service. But that suggests that Christians don’t grieve, which is not the case. Even Jesus grieved. As Christians, we celebrate that the person is in a far better place, but those who are left have a huge loss that needs to be mourned. If the death was a suicide, a murder, or drug-related, those who know the family often don’t want to talk about it. If a teenager dies of an overdose, other people “don’t know what to say.” Those who are grieving are not invited to talk about their grief because everyone around them gets uncomfortable. Guilt, shame, and regret also complicate grief. With a suicide, people may think, “If only I’d done this or that.” If a marriage was not healthy and the spouse died, there’s regret and maybe shame about the unresolved issues. People have said to us, “We were just getting to work on our marriage again. Why did God take my spouse away now?” Any family conflict or estrangement adds a complicating layer to the grief. Multiple deaths within a short period of time, say twelve or eighteen months, leave people overwhelmed. They don’t know whom to grieve for or when, and the process gets derailed. Why is it better to help grieving people talk about going through grief instead of getting over it? People who use the phrase “getting over it” are fooling themselves, as if they can avoid the “valley of the shadow of death” by climbing a mountain to find peace and joy on the other side. “Getting over it” has an element of avoidance or distraction in it. Whenever people don’t face something head-on, subconsciously they know that they’ve been in avoidance. It doesn’t help people feel more confident that with God they can face anything. It perpetuates their anxiety and fear about having loved ones die. In contrast, Psalm 23 says, “Yea, though I walk through the valley of the shadow of death … thou art with me” (KJV, emphasis added). We must go through it. We have to work into the pain. That’s part of what it means to be a Christian: We don’t run away from the pain that sin and death have brought into the world. We work through it and we get to the other side. If people aren’t facing their grief, they’re not growing in the strength of what it’s like to walk with God. 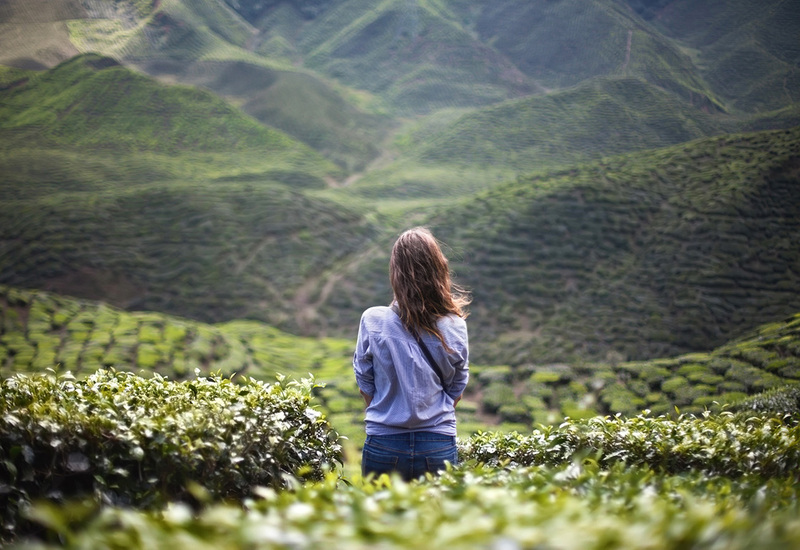 There’s testimony after testimony of people who have had such a close walk through difficult times that they feel as if God is right there (which, of course, He is). We think God uses our difficulties to help us see this. When people see that with His help they made it through, there’s a sense of accomplishment. It’s faith-building. How can pastors help people avoid complicated grief? Teach. Preach about grief. Include it in your adult education program. Don’t be afraid to address the topic that everybody has to face, but nobody likes to talk about. As Christians we should be able to talk about death and grieving with much more ease because we know this isn’t our final destination. Train. Many pastors do well in ministering to people during the dying process. But after the funeral, a high percentage of pastors go back to dealing with the urgent. So a grieving person may fade into the background after a contact a month or so after the death. Pastors need a good system in their church so that they’re not the only ones providing support. That’s one of the great things about GriefShare. As a lay-led, ongoing grief support group, grieving people have support from the lay leaders (group facilitators) and from other grieving people who are experiencing similar things. It’s also wise to have a care team that closely coordinates with the pastor and follows up with visits to the grieving person. This is one way you can keep tabs on how grieving people are recovering from their losses. People like to hear periodically from a pastor, but others can help too. Track. We encourage pastors to keep a death calendar. Anytime there’s a significant death, note that on a calendar and understand that you and/or the church have a minimum of a twelve-month commitment to remember the grieving person and check on his or her progress. This is another way to discover if someone is stuck in his or her grief. Some pastors do that privately; others make it public with a bulletin board or whiteboard so that the church can remember the loss and hold the grieving person in their prayers for the next year. Grieving takes both time and work to accomplish five goals of grieving, including accepting the loss not only cognitively but emotionally as well; dealing with all of one’s feelings; summarizing one’s life in relation to the deceased to put the person in the past; eventually re-defining oneself without reference to the person who died, and reinvesting in life to develop a “new normal.” This entire interactive, nonsequential process can’t be rushed, but a wise pastor looks for ways to ensure that there is progress. 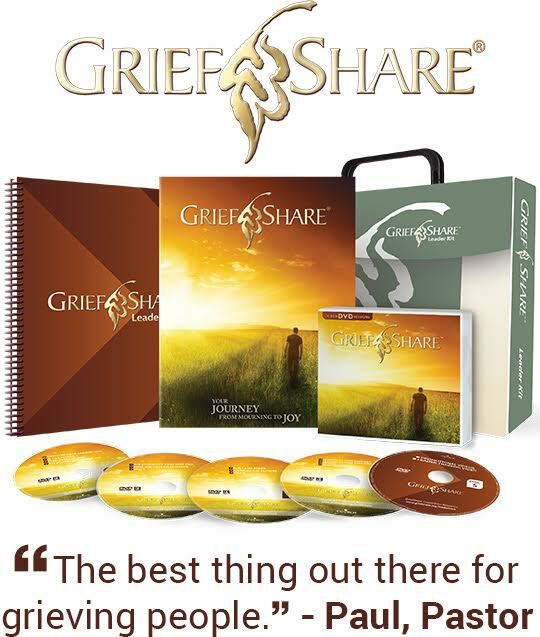 GriefShare is a 13-week Christ-centered support group program, designed to be lay-led. The program features weekly videos with respected pastors, counselors, and teachers and personal testimonies of what it’s like to walk through grief and how hope can be found in Jesus. Dr. Susan Zonnebelt-Smeenge, RN, EdD, and Dr. Robert DeVries, DMin, PhD, have been speaking, consulting, training, and writing about dying, loss, and grief issues for over twenty years. Both were widowed in midlife, and God brought them together and led them to minister through workshops, presentations, and groups to pastors, churches, counselors, care providers, grievers, and others who deal with these issues in their professional and/or personal lives. Susan is a registered nurse and a licensed clinical psychologist who worked for twenty-four years at Pine Rest Christian Mental Health Services in Grand Rapids, MI. They now live in Marietta, GA (outside Atlanta), six months of the year and in Pentwater, MI (near Grand Rapids), for the other six months. 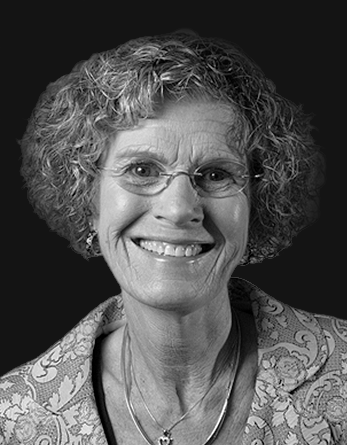 Susan has been in private practice in Marietta for the last three years, and they both facilitate a GriefShare program in their nine-thousand-member church in Georgia. 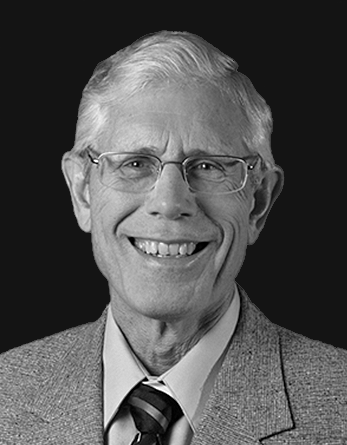 Bob is an ordained minister who pastored churches for ten years and then spent the next twenty-eight years on the faculty of Calvin Theological Seminary in Grand Rapids. They have written three books on aspects of grieving, another on facing death, and a book for men and women who, after experiencing divorce or the death of their spouse, are ready to face the choice to remain single or enter into another relationship that might lead to marriage. They appear in a number of GriefShare segments as grief experts and have made other contributions to Church Initiative’s ministry to the bereaved. Bob and Susan serve on the Grief, Crisis, and Trauma Board of the American Association of Christian Counseling and speak frequently at their conventions. They also continue to speak to groups interested in expanding their knowledge of dying and grieving issues. Please feel free to contact them if you would like to know more about your church arranging for a workshop or presentation on dying, grief, or loss by calling 616-780-1082.